Has “friendly fraud” affected your business? Have you had to spend excess time proving you had legitimate contracts and fighting against fraudulent chargebacks for services rendered? 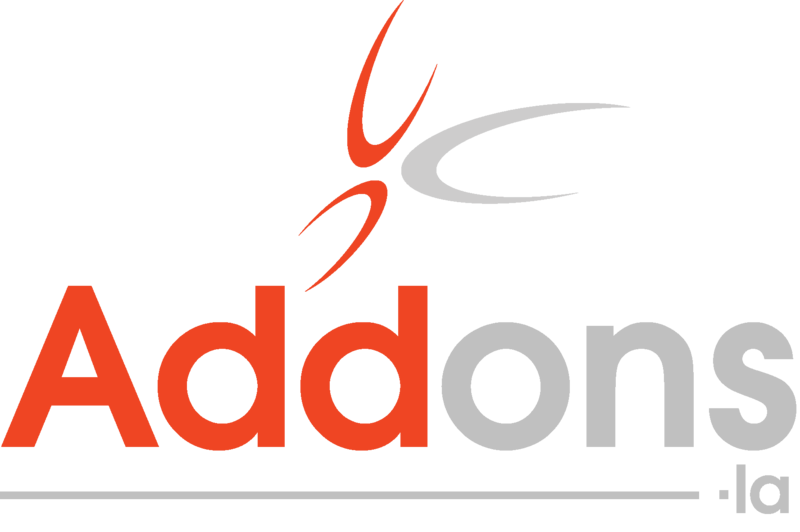 AddOns.LA can help by providing an automated way for you to capture signatures on contracts and credit card charges, as well as gain proof of identification, all easily and securely. Make sure you have all the data required to win a fraudulent chargeback! 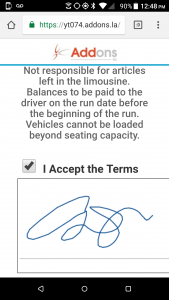 Once you’ve signed up with us, we’ll connect with your LimoAnywhere system and enable our contracts & credit card capture module in your account. We integrate directly with LimoAnywhere, receiving information about any new trips you create inside LimoAnywhere. 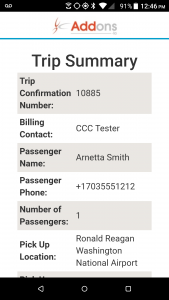 When a new trip with a specific rental agreement type is booked, our system triggers a message to your customer to complete the CCC process. That email will contain a link the customer can click on, they’ll be able to open the link and view it as a secure web page, where they can to accept the contract terms, rates, vehicle details and times. Within the system, you can enable the capture credit card and drivers license images to make your process 100% airtight. 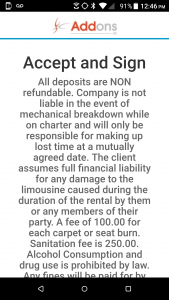 Upon acceptance of the contract terms, we will electronically capture their signature, device information, IP address, viewed contract details for secure storage in the event of a charge-back or customer issue. We will validate the card type and numbers, flagging any prepaid or debit cards. 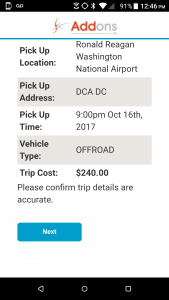 As soon as they complete this process, we will adjust the trip to a status of your choosing like “Trip Contract Signed”. Below, you’ll see a variety of screenshots of the contract and credit card capture portal.